The Ministry of Energy says it is confident of meeting its ambitious 10 percent target of installed renewable energy capacity by 2020, with the completion of the relevant policy and regulatory framework. The move is also expected to drive down the high cost of power in the country. At present, renewable energy accounts for only one percent of all installed capacity despite the enormous potential existing in the country. The high initial cost has also been blamed for the low patronage of renewable energy sources. 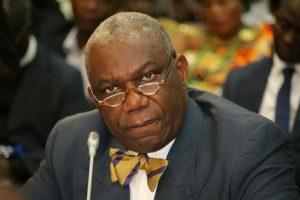 But a Programme Coordinator at the Energy Commission, Frederick Kenneth Appiah explained that the right policies would also attract investors into the manufacturing sectors to reduce the burden on hydro electric power. “Ghana’s access to electricity is among the highest across Africa since most of them are below sixty percent so there is also a potential market. As a result, we would like to use our country as a hub base to develop renewable energy technologies which could be deployed to our neighbouring countries or the regional market,” he stated. Mr. Appiah was speaking ahead of Ghana’s participation in the Astana Expo in Kazakhstan between June and September this year. The expo is among others expected to open up the existing opportunities to foreign investors to increase the country’s renewable energy capacity. According to him, the country’s local content policy should also open up local companies to the opportunities in the renewable energy space. The Energy Commission has since embarked on a National Rooftop Solar Project to assist households that are opting for solar in meeting their power needs. It is also against the backdrop that the cost per kilowatt hour for solar (11 cents) is cheaper than the cost of thermal per kilowatts hour. “Government wants to meet you halfway by taking care of some of the cost so if it is hundred percent, the project is taking care of almost thirty percent,” Appiah stressed. The Expo is on the theme, “Future Energy” while Ghana is participating on the theme, “Ghana-Haven of Renewable Energy Resources”.